The Congress on Wednesday said party president Sonia Gandhi and her deputy Rahul Gandhi never intervened in any administrative matter including the 'Ishrat Jahan case' during the United Progressive Alliance government.“Unlike the RSS, Sonia Gandhi or Rahul Gandhi never intervened or gave any suggestion to the then home minister P. Chidambaram or any other authority in government for any administrative matter including the Ishrat Jahan case,” party spokesperson Randeep Surjewala said in a statement released here. 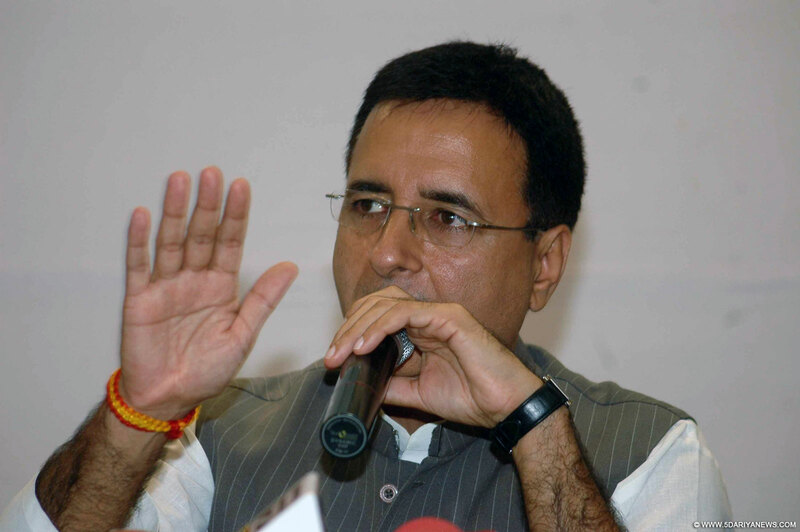 Launching a scathing attack on Prime Minister Narendra Modi, Surjewala said: “Narendra Modi and BJP President Amit Shah owe an explanation to 125 crore Indians to tell the 'real motive' behind their desperation to shut the ongoing trial in Ishrat Jahan case.”“Prime Minister Narendra Modi should stop perpetuating bundle of lies by using his cronies and pawns to spread falsehoods about the role of Congress president and vice-president in this case,” Surjewala said. “By such mischievous attempts to hoodwink and divert the attention of people of the country, Narendra Modi and Amit Shah cannot put a lid on the truth. Let truth and justice be not a casualty in this web of deceit being woven by BJP government,” he said. The Congress reaction came in the light of statements of union Minister of Commerce and Industries Nirmala Sitharaman and other BJP spokespersons in Ishrat Jahan shootout case.Sitharaman and BJP spokesman Sambit Patra had levelled serious allegations against Sonia Gandhi over the Ishrat Jahan shootout case, asserting the Congress had connived to get a political rival eliminated in Gujarat. "Here is a political rival, the then chief minister of Gujarat, whom the Congress could not face politically. So they quietly allowed a terror plot bloom. By politicising the Ishrat Jahan encounter case, the Congress has undermined the national security. They have weakened the entire security network," Sitharaman said on Monday.On the other side Congress asserted Prime Minister Modi and Shah to answer "why they are trying to bypass the judicial findings of Metropolitan Court, Ahmedabad, and Division Bench of Gujarat High Court”.“Why the central government and Gujarat government are not giving sanction for prosecution of officers found responsible for the fake encounter of Israt Jahan and accomplices? Why are the prime minister and BJP president trying to block an ongoing trial and blatantly interfere with the judicial process,” the Congress asked.